The Public Library of Phoenixville began its existence in 1896 when a group of prominent citizens took advantage of a law passed by Pennsylvania legislators making it legal for school districts to own and operate public libraries. At that time, there were no libraries affiliated with the public schools. The School Directors agreed to foster a public library, which was called the Public Library of the Phoenixville School District. A small collection of books donated from the Young Men’s Literary Union founded by Reverend Joseph F. Jannison in the mid 1850’s, which was a private subscription Library, formed the core collection of the new Library. Prior to the establishment of the Literary Union, a community library was formed in 1843 called the Phoenixville Library Company. The Company eventually merged with the Literary Union and the Public Library of the Phoenixville School District. In 1901, the Library trustees contacted Andrew Carnegie, famed steel magnate and philanthropist, who was then actively engaged in bestowing Library buildings on worthy communities in the United States and Scotland. Carnegie agreed to supply a town library and sent architect’s plans along with $20,000. The school Directors purchased a lot of land at Second Avenue and Main Streets. The new Library building comprised of Avondale Stone and Indiana Limestone with a high covered ceiling was opened to a grateful public in September 1902. Miss Elmira W. Pennypacker was appointed as the first Director in the new Public Library building. In the 1920’s, the basement, originally meant for storage, was refurbished as the Children’s Library with its own access. The upper level of the Library was remodeled at a later date. In the 1950’s, the School District was enlarged to include the adjacent townships of Schuylkill and East Pikeland, becoming the Phoenixville Area School District. Funds from these townships were included in the support of the Library and residents of the entire school district received free library service. Other area residents paid a modest $5.00 per family to use the Library. Beginning in the 1960’s, the State Library of Pennsylvania provided funding to the Library. This money was tied to an incentive plan which required the Library to hire a professional librarian and expand its collection to 1.5 books per capita. In 1978, the Library joined the Chester County Library System. This is a federated system comprised of 17 libraries. The 1978 contract with Chester County provided $1 per capita annually from the official service area that provides close to $25,000 worth of financial support for the Library. The county contract opened the Library to provide free service for all who live, work, own property or attend school within the county. In 1987 an addition to the Library was constructed to increase the size of the library adding room to enhance the size of the library collection, offer space for additional seating and to provide handicapped access to the building. This addition also included new circulation desk areas, office space, and a Community Room available for programs and exhibits. Library automation was established in the mid 1990’s with the addition of a self-contained computerized card catalogue. The Internet and CD-ROMs were introduced as new search tools for access to information. 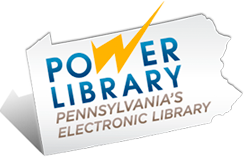 In 1999, the Library came on-line with the Chester County Library System and also established a website. Renovations of the Children’s Library occurred in 2000-2001, providing a new Technical Processing Department, two Public Computer Centers, a Literacy Education Center/Meeting Room, a Friends of The Library Book Center and exterior French drain and water vapor barrier. This addition was made possible through individual contributions, a Pennsylvania State Keystone Grant, public, private, and foundation donations. The Library underwent a $1.2 million renovation in the Spring of 2012 wherein it expanded its computer center and children’s library. It also set aside space for a defined Young Adult space and placed new furniture throughout the building. A new roof was also placed on the original building, storm windows were installed and a new floor was placed in the children’s library. The renovation was complete by the Fall of the same year. Since 1902, the collection has grown to approximately 69,000 items. Circulation of the collection has more than doubled from the 1970’s to the present day, making the Phoenixville Public Library the third largest circulating collection in the Chester County Library System. The Library’s children’s program has grown to be the second largest in the Library System. Carnegie’s goal was to provide information access, through libraries, for the intellectual and educational development of citizens. Phoenixville Public Library Trustees have continued to support this goal for more than 100 years.